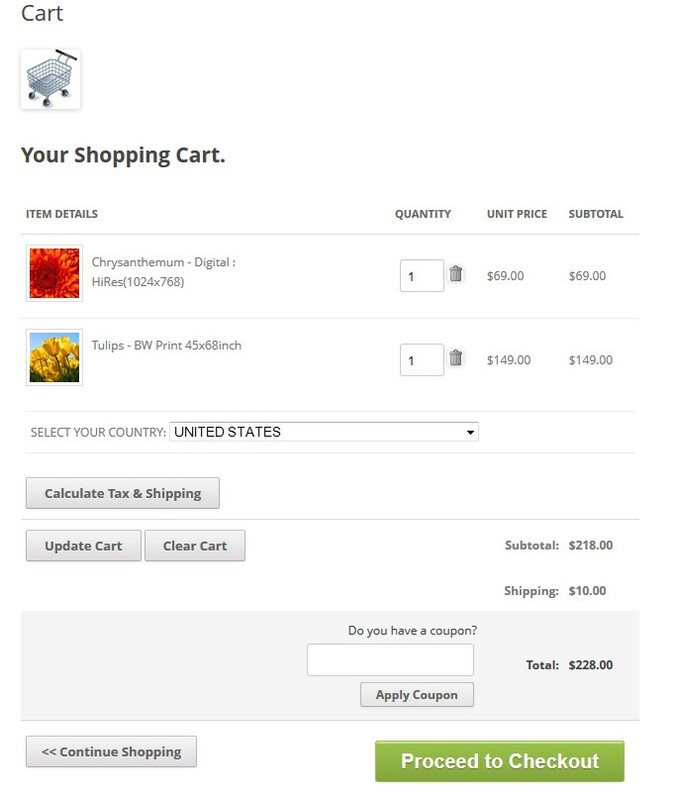 When it comes to selling photos or prints online, it usually isn’t enough to simply use a general shopping cart plugin. Photographers or anybody selling images or prints via their WordPress website usually require specific functionality which is unique to the field of photo selling. Most shopping cart plugins don’t cater for things like gallery creation, watermarking and specific pricing for particular photo variations. The existing plugins which do, often require you to install and integrate a third party plugin such as next-gen gallery to handle most of the image-specific tasks. There are also other options out there such as Photocrati who offer a theme which will handle your photo eCommerce functionality, but this is rather restrictive in the sense that you are forced to install their theme and cannot use your existing one. Luckily there is a now a shopping cart plugin which is designed specifically for photographers and which doesn’t need any third party plugins or themes in order for you to get all of the functionality you need as a photographer wanting to sell images from your WordPress site. This plugin is called WP Photo Seller and my friend and I have been working very hard in the past 6 months to officially release it. 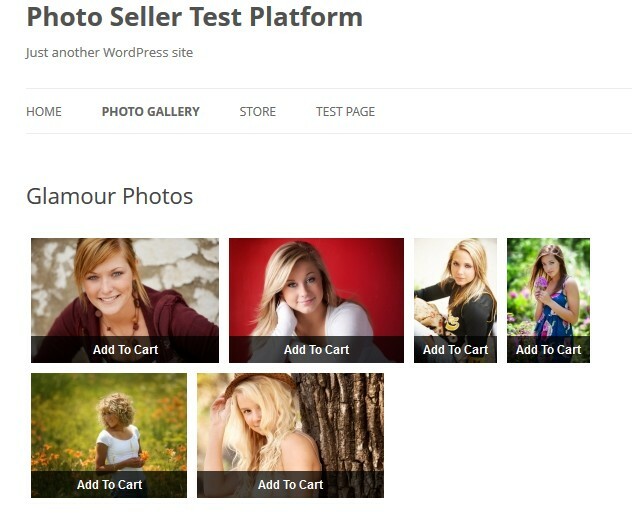 WP Photo Seller is very easy to install, configure and use, and it will make your task of selling your photos painless. So let’s go through some of the features and highlights of the plugin in order to demonstrate just how effective it is for photo selling online. Due to the fact that the plugin was designed for photographers, it therefore makes it easy for you to show and present your photos to your customers so they have a pleasant and easy shopping experience when they are on your site. The plugin will allow your customers to securely buy your photos using their PayPal account or they can pay with a Credit Card via PayPal. 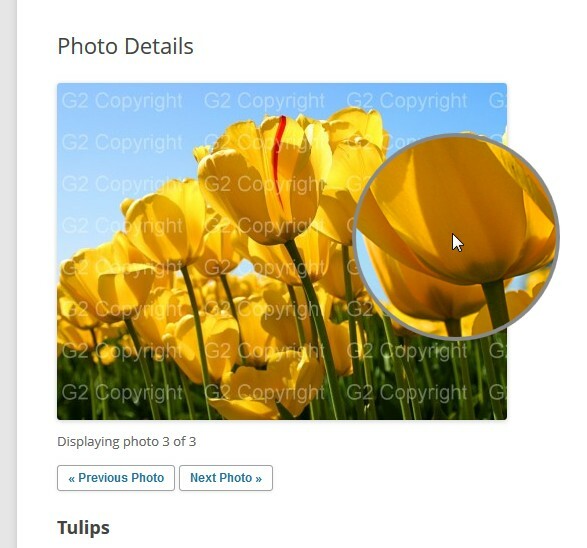 When a customer buys a digital version of one of your photos, the plugin will automatically send them an encrypted download link together with an official receipt after payment has been processed. The encrypted download link can be configured to expire after a period of time thus protecting your photos from unauthorized downloads. 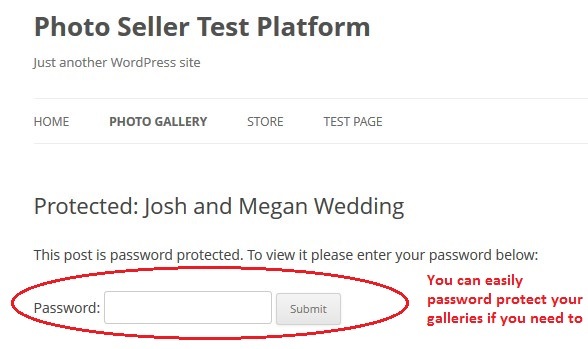 With WP Photo Seller you can password protect certain galleries so that only certain people can browse, preview and/or buy the images in that specific gallery. As a photographer you will need to offer your customers numerous digital sizes, resolutions and physical prints for you individual photographs. WP Photo Seller allows you create as many variations as you wish for each of your galleries and it can cater for both digital and physical variations too. With this plugin you can create galleries and upload your photos easily. The plugin uses the standard WordPress uploader within the gallery settings page. You can also choose how you want to display your galleries to your customers. For instance you can list all of your images in a particular gallery in a slick and professional grid with image thumbnails and an “Add To Cart button” (see the figure above). 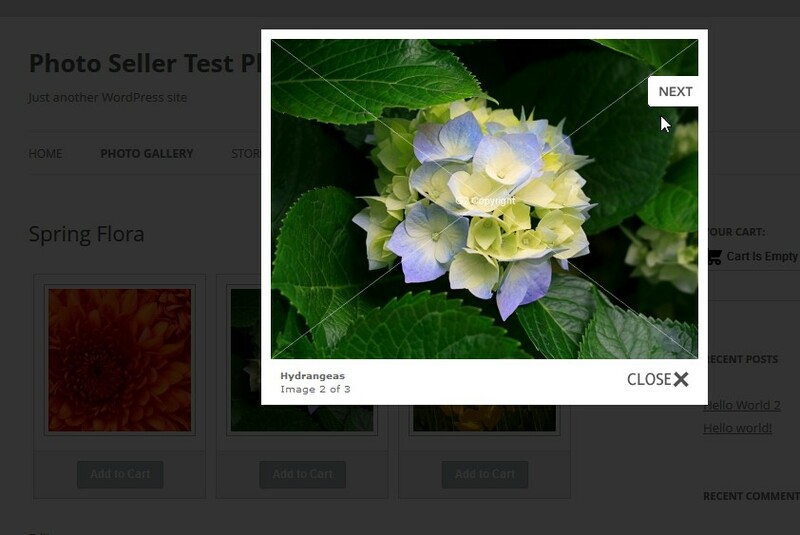 You can easily watermark your images on a per gallery basis with any text of your choice. The above example shows a grid watermark style which is one option and you also have a second option which will display the watermark text in the centre of the photo. The gallery settings page offers various setting options relating to watermarking images as shown below. 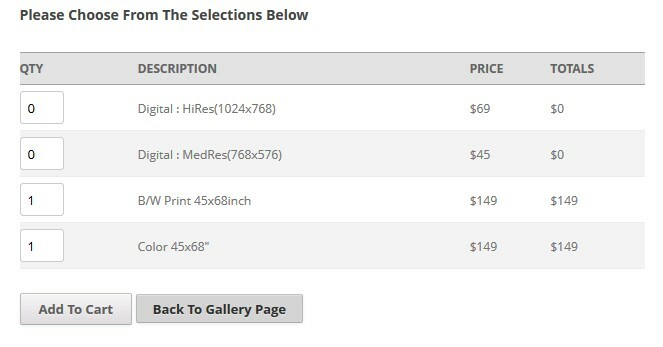 WP Photo Seller has flexible options for how you would like to showcase each of your individual images of your gallery. The first option is to show the details of each image on a page as shown in the figure above. Your customers will be able to easily browse through each image in your gallery by simply clicking the “Previous/Next Photo” buttons and they can add to the cart without ever leaving the page. The plugin protects your gallery images using a special security .htaccess file which will not allow unauthorized people to view or copy your full-sized image files. If you sell prints or images with very fine details, you can enable a handy photo zoom option in the gallery settings page as shown in the figure above. This will allow your customers to closely examine the fine details of your image without you having to show them a full-sized version of your photo. There are numerous options you can choose from regarding shipping and tax when selling your photos. Currently the plugin offers a flat rate shipping option with “local” and “international” rates which you can configure and which can be set to apply to each individual item in the cart or regardless of the amount of items in the cart. 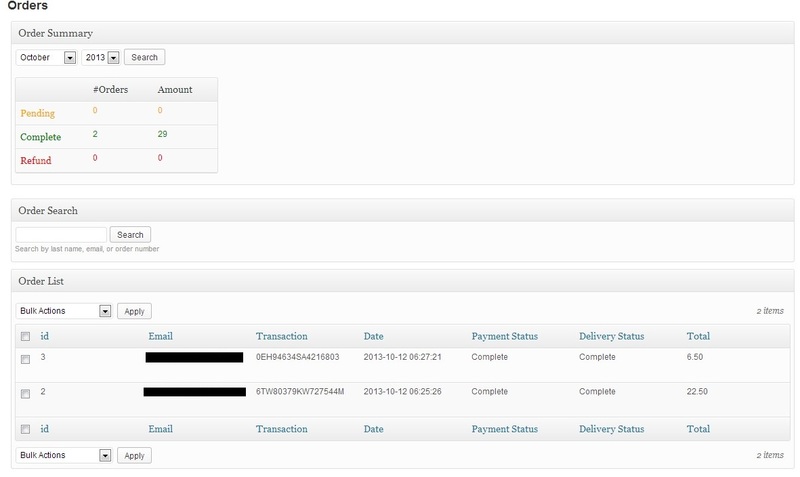 Alternatively you can also configure the plugin to use PayPal profile-based shipping. For tax you have several options too. For instance you can configure regional tax based on particular countries. You can build your own tax rate table by setting a tax rate for particular countries. You can keep track of your orders via a handy Orders menu page which will list your orders and their status. 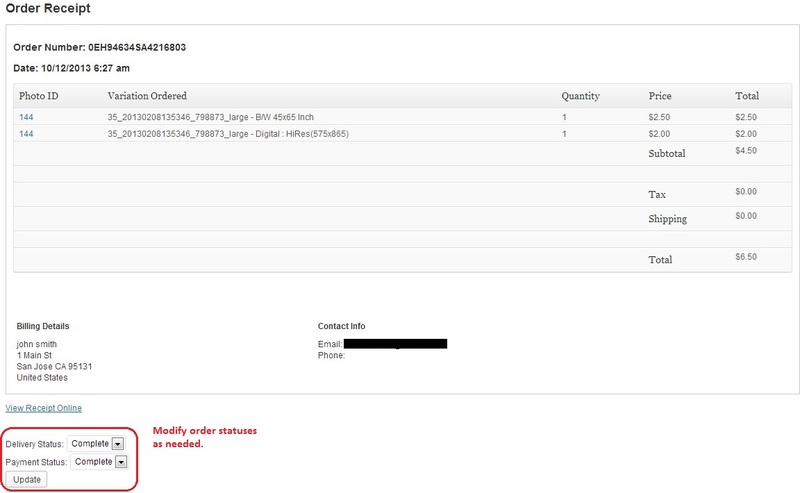 You can individually view/edit each order as (shown in the figure below) or you can perform bulk order operations such as setting the delivery and payment status of your orders. 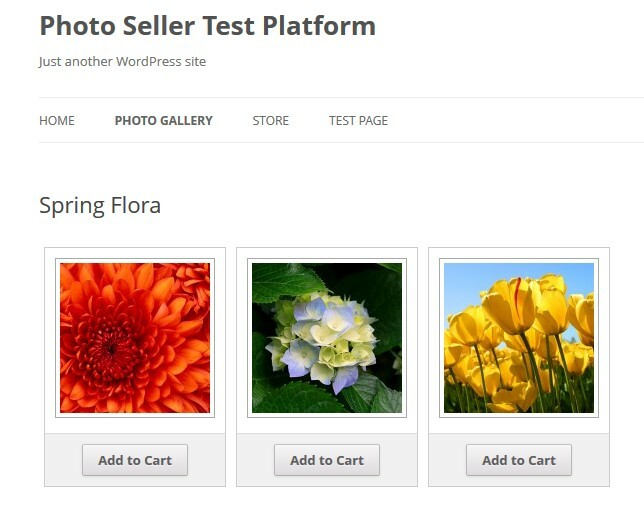 When you purchase the WP Photo Seller plugin, you can rest assured that you won’t be left hanging in the lurch if you need any technical support or advice. The “customer-only” help forum offers timely and dedicated support. So if you want to start selling your photos online from your WordPress site in a secure and professional way then go and get your copy of WP Photo Seller. Hi Peter, what are your thoughts on estore plugin from same site? 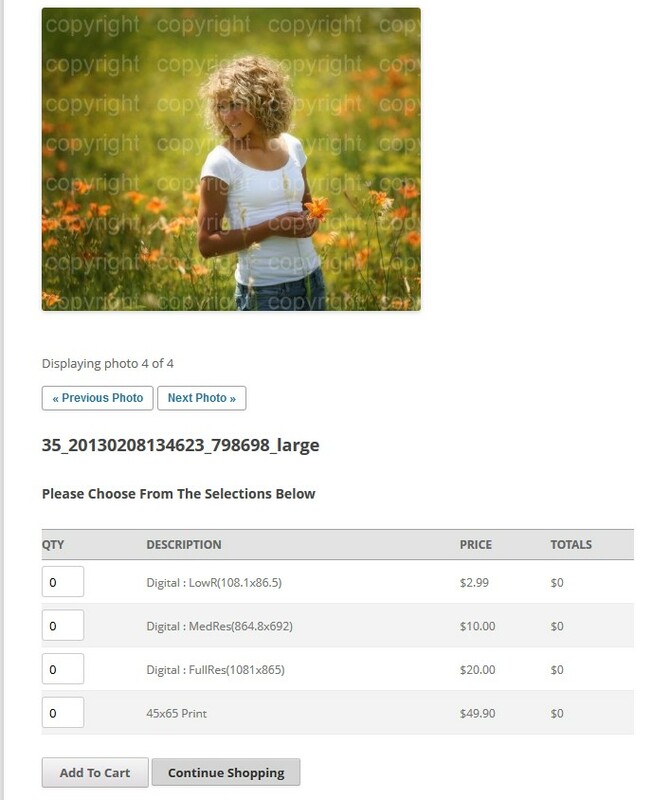 Regarding printing and shipping – the Photo Seller plugin gives you the choice of being able to sell physical prints in addition to the digital photos. The plugin allows for the configuration of shipping costs and also tax. The printing will be done by you. I’m looking for a solution like this, but I need to set one fixed yearly fee as well, so that people can have the opportunity to buy the picture or subscribe and download everything for one year. Do you plan to integrate a function like this ? The plugin currently does not have the functionality that you have outlined. Having said that we have definite plans to add something similar in a future version. This looks like a very convenient one stop solution fro any photographer who would normally have to do these tasks separately. 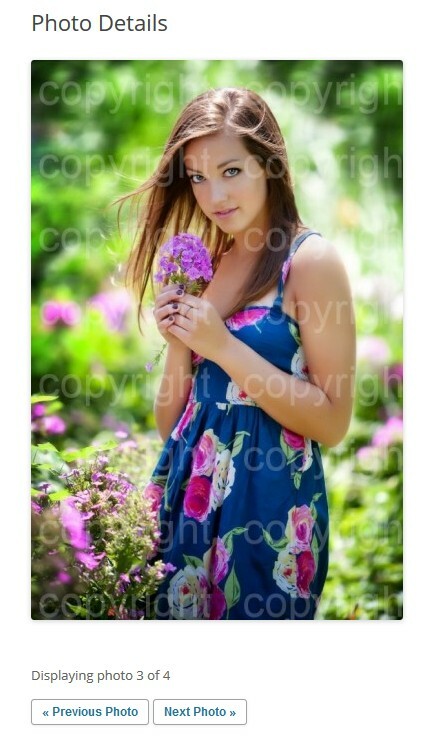 I especially like the easy watermarking feature which I have had to with image editing software. Great job!